Just outside the gate to the Grail center at Kisekibaha, Tanzania is Chekechea. 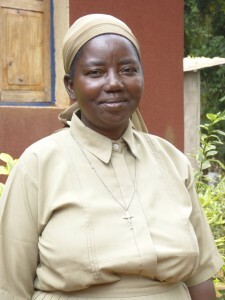 It is the home to Feliciana, a young Grail member and the 15 young Maasai girls who call her mama. Over the past 10 years the Grail has gradually brought these girls to live here at the request and with the blessings of their birth mothers. These women know that the only way for their daughters to escape female genital mutilation (FGM), early marriage and the very difficult life of Maasai women, is to get an education and live outside Maasai culture. They attend the Montessori preschool at Chekechea, (Feliciana is the sole teacher/administrator), or walk to the primary school nearby. They come speaking only the Maasai language and must learn Swahili and English. Their beauty and their stories are heartbreaking. Honorata speaking with Maasia mothers. Ten years ago Grail members Honorata Mvungi and Maria Goretti, concerned about the practice of female genital mutilation, (FGM), began reaching out to the Maasai people. Isolated geographically and socially, the Maasai have guarded their culture and lifestyle from outside influences. FGM is considered normal practice for all Maasai girls, a right of passage into adulthood. In Maasai culture FGM means girls are ready for marriage. Through their work, Maria and Honorata were introduced to the family of Moses and Lea, a Maasai couple. 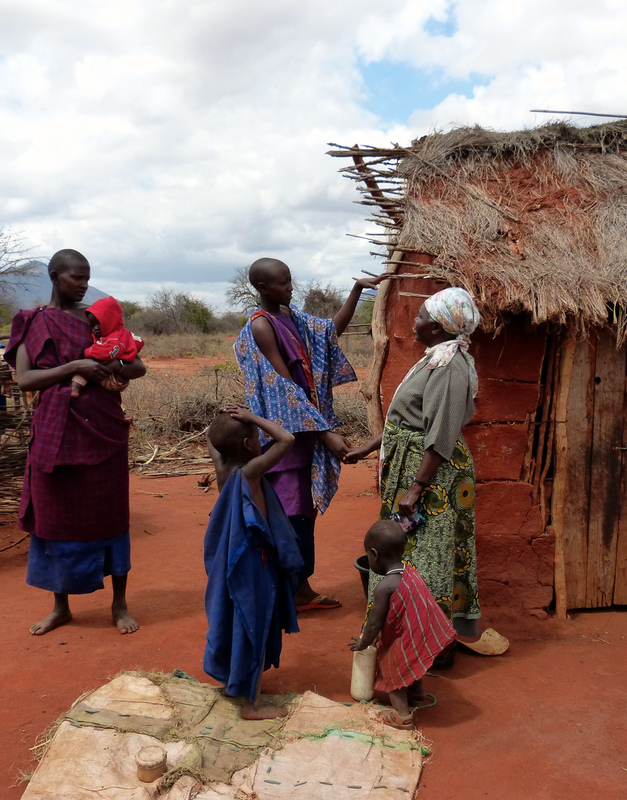 In many ways they are a typical Maasai family. Cows are central to their lives, a source of food, wealth and status. They live far from towns, without electricity and running water. Their food, clothes and traditions are all Maasai. But, unlike others, they have built a permanent home out on the bush and Moses has only one wife, Lea. Lea knew that for her daughters to escape FGM and survive outside the Maasai community, they would need to leave their home and get an education. She asked the Grail women to take her daughters, raise them and help them go to school. In a leap of faith, Honorata and Maria agreed to do just that. After 9 years at the Grail Center, Asifiwe is in form 5 at Morogoro and her sister Margaret is being raised by Honorata’s sister in the mountains nearby. Others have joined them and now there are12 little girls next door to Kisekibaha at Chekechea. They live in much healthier conditions and are going to school. Everyone hopes they will never have FGM and will complete their education. 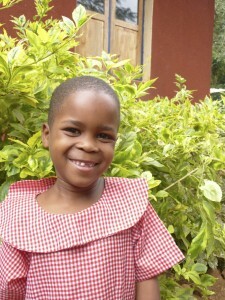 Sofia, seen here, is the youngest of all the Maasai girls living at Chekechea. Sofia was named after Honorata’s mother and her name means wisdom. Sophia was chosen as the name sake for this fund because she embodies the spirit and energy of these young girls. She radiates beauty and hope for the future. 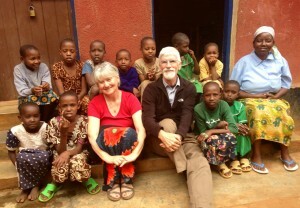 Grail Member Mindy Burger and Denny Burger sit with Feliciana and the young girls at Chekechea. United States Grail member, Mindy Burger had the opportunity to travel to Tanzania and visit The Grail centers there. Please check out her blog, Making Connections, to learn more about her experiences and why she believes The Grail in the USA needs to play a vital role in helping these young girls. To see some photos from her trip click here. Maasai society needs our service and to be uplifted from poor to better life. There are few people who are like Mindy Burger and Denney Burger to think about them. Thanks you very much for your kindness to support our sisters who are trying to help this young poor generation. May the good lord rewards you. I hope if you can influence your friends and neighbors to support this poor kids and they will be the one to empower Maasai society. I give remark to Maasai Society in my research. Because of their low standard of living, they need me and you to eradicate the poverty. I appreciate the work Feliciana my groupment, Honorata and Mariagoretti our formators. For the good job they are performing, even kids are happy this it has given joy. It is only today I read this beautiful article written last year. This is due to ignorance on this new technology. I sat with someone yesterday and she taught me.Thank you very much Mindy and Danney. May God bless you. Will come back.